We’ve got a lot to be thankful for – which means we’ve got a lot on the line come January. The last 8 years in Michigan have been marked by remarkable progress. Unemployment is at record lows. Job and income growth are through the roof. The economy is booming, regulations have been slashed, and our population is rebounding. Shortly after ascending to the Presidency, Barack Obama, angry at his political opponents and with his eye already on the next election, weaponized the IRS against conservative groups and tea party organizations who opposed him. Every morning, we wake up to a new spate of tweets from President Donald Trump, whose personal style and approach to governing couldn’t be more intentionally antagonistic or combative, in particular towards for-profit media. Vote NO on Prop 2, or the Liberal Joke’s on You! Tomorrow’s the day. Election Day. 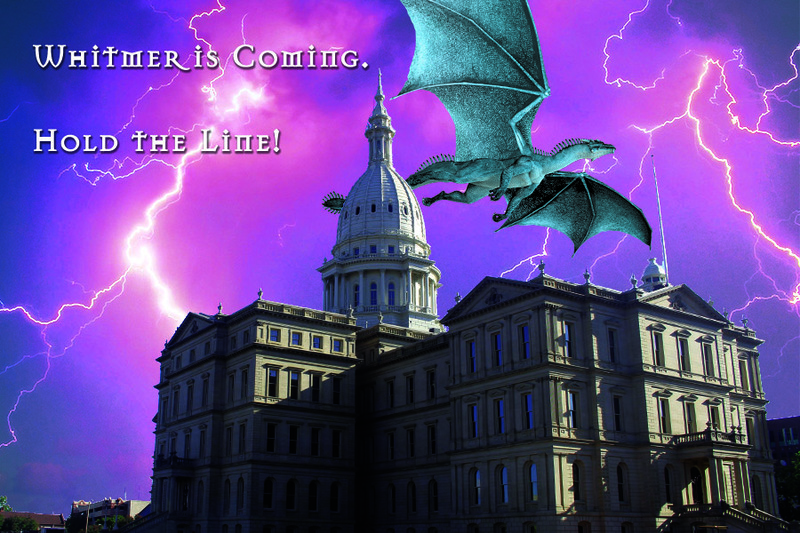 The day you rise up to save Michigan’s Constitution. 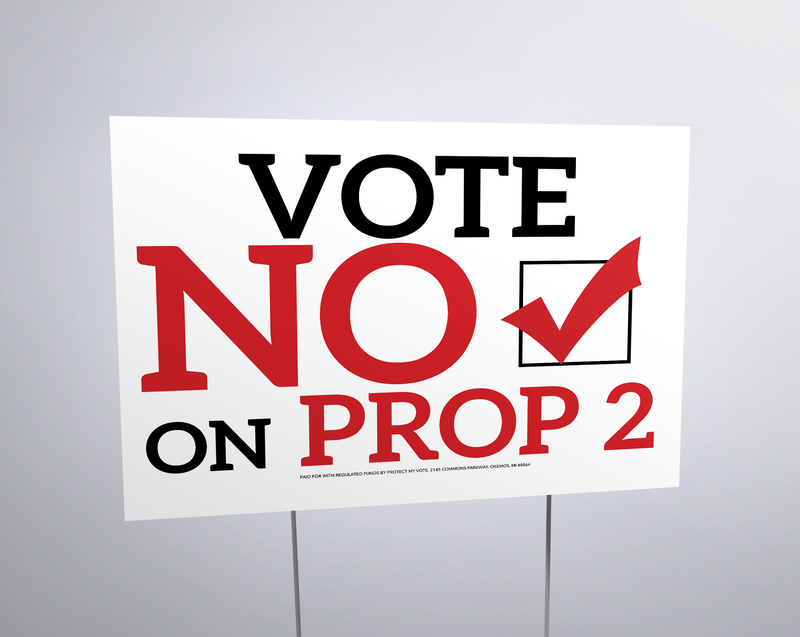 When you head to the polls, remember to vote NO on Proposal 2. Vote NO on 2 to protect taxpayers’ wallets. Vote NO on 2 to protect the Constitution. Vote NO on 2 to tell the out-of-state special interests that your legislative districts aren’t for sale. Election Day is only 4 days away, and the future of the state of Michigan is in your hands. You’ve got a big decision to make, between two sets of candidates with world views and governing philosophies that couldn’t be further apart. This November’s general election offers no minor squabble between generally aligned and milquetoast alternatives. This election offers voters choices between candidates and political parties that are diametrically opposed to one another, with visions for the state as different as night and day. Every day brings new evidence of the growing divide between solutions-oriented conservatives and hyperbolic and hysterical liberals who’ve drifted further from Michigan voters and closer to violent extremists by the week. 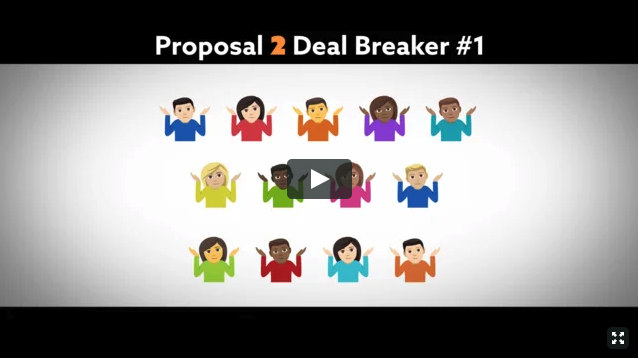 There are a lot of reasons to vote NO on Proposal 2. That’s why Protect My Vote went on the air on television stations across the state, urging voters to defend the Constitution and reject Prop 2. Protect My Vote, the committee organized to fight Proposal 2, has launched a statewide radio ad and even has yard signs and bumper stickers available for a modest contribution at their website JustVoteNoOn2.com! We know that many of you are eager to show your opposition to this hostile takeover of our redistricting process by Hollywood lefties like Arnold Schwarzenegger and Jennifer Lawrence and urge you to visit the website – JustVoteNoOn2.com – and share it with all your friends and family. Over the last few weeks, radical Leftists and Democrats (but I repeat myself) have moved seamlessly from character assassination to threats of violence to settle political differences. In just the last week, we’ve seen Democrats text the wife of a Republican U.S. Senator with video footage of a beheading and crazed Left-wing protesters literally clawing at the doors of the Supreme Court. All the while, the nation’s highest profile Democrats are encouraging their activists to harass, threaten, and intimidate those they disagree with.